Treat yourself to a spa day at Slim and Clean. We offer a selection of treatments targeting the overall health of your body, skin, hands, and feet. Choose from our selection of detoxifying spa body wraps, body polishes and scrubs, and our hand and foot treatments for skin exfoliation, moisturization, and hydration. 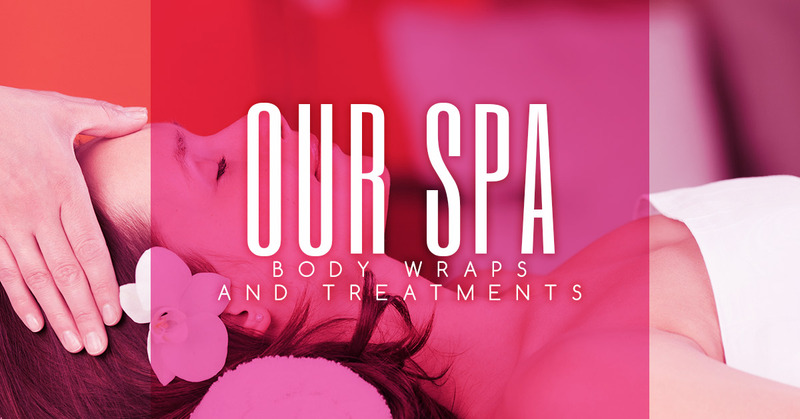 Body wrap treatments provide many benefits to your body. Used to enhance the overall health of your skin, a spa body wrap can also aid in shedding inches from your waist and reducing body measurements. The wrap itself, made from either cotton, mylar bandages, or plastic film, works to detoxify your skin, ridding it of dirt, excess water, and toxins. Not only that, but detoxifying spa body wraps also work to remove dead skin cells. Our wraps incorporate algae, seaweed, and gel to aid in the body’s detoxification process. With one of our body wrap treatments, you’ll be promoting overall relaxation while experiencing smoother, brighter skin. The results from your body wrap can be noticed for up to a week. In order to maintain the results over a long period of time, schedule a body wrap treatment regularly. If you’re looking to remove dead skin cells and moisturize your skin, a body polish spa treatment is the way to go. Body polishes will exfoliate your skin by lifting and remove dead skin cells. This works to further enhance the hydration, brightness, and health of your skin. Exfoliating your skin has many health benefits, including acne prevention and evening out the skin tone. In order to maintain constantly hydrated and soft skin, it is recommended to get a body polish exfoliation treatment twice every week. Body scrub treatments are similar to a body polish, and are essentially a facial treatment for the body! Scrubs will work to smooth skin, remove dead skin cells through exfoliation, and moisturize the skin to promote hydration and softness. This spa treatment will also improve the circulation of blood in the skin, help fight cellulite, and improve the skin tone. Our hands and feet are used a lot throughout the day. From writing to walking/running, it’s easy for our hands and feet to get tired and sore. To help aid in relieving soreness and dryness, try a hand and foot treatment. With this spa treatment, your hands, feet, or both, will be exfoliated and hydrated with the use of essential oils. Experience this treatment for yourself on your hands, feet, and lower legs. If you find that you get sore easily, schedule this treatment once or twice a week.